Please, I hope I have your undivided attention because you will discover that you can use Fat Burner not only for weight loss but for many other health issues!! Fructose or 'fruit sugar' is a very sweet kind of sugar found in honey, trees and vines, fruits, flowers, berries, and most root vegetables. it is absorbed directly into the bloodstream during digestion. Fructose is recommended for diabetics because it causes less of a rise in blood glucose levels. Soy protein is a plant-based protein source. It acts as a substitute for meat protein. It contains twenty-one different proteins. Including soy protein in your diet on a regular basis will lower cholesterol, produce healthier veins, good blood flow, and a healthier heart. Spirulina is dark blue-green algae that have gained popularity as the current solution to weight loss. It is deemed a "complete food" as it has high protein content (more than meat and soya beans) and many other nutrients. It also contains high beta carotene percentage which insulates the body against degenerative diseases. A regular spirulina dosage is taken one hour before meals will make you feel quite full. With a diet highly rich in proteins you will feel fuller for a longer time. It takes longer to digest, therefore causing you to refrain from snacks and high sugar treats. Spirulina includes a high amount of essential vitamins and minerals needed for good health. It is also a major source of the essential omega three fatty acids which boost brain function. Spirulina helps give your body a natural boost as you maintain a healthy diet and exercise program and provides your body with exactly what it needs. There isn't another natural source of nutrients like spirulina with all the health benefits it provides. In improving the circulation of blood and normalizing your blood pressure. It also aids in the prevention of heart disorders. Any weight loss you achieve with spirulina will be even and toned. This means that you will not be skinny since the high content of nutrients in the supplement supports the growth of muscles. this will not only make you look good but also make you feel good. Spirulina absorbs fat from the food you take, rather than your body system struggling to extract the same. having control over your appetite means that you will not eat more than you should or actually need. the food you take will also be filtered by the supplement, and your body system will only absorb what is essential. Spirulina is a great choice for those looking for a healthier option to lose weight, combining it with regular work out and a healthy diet will make you achieve your goal of losing weight faster. Dl-methionine is an essential amino acid that the body cannot manufacture itself. Existing conditions like allergies, liver problems, and urinary tract infections can lead to a higher rate of use of dl-methionine by the body. This means that deficiency of it can cause depression, allergies and lead to an excess of toxins. the kidneys can use dl-methionine to acidify the urine, which means that it can be used for certain conditions. It can be used to effectively prevent urinary tract infection as e-coli which is usually responsible for cystitis cannot survive in an acidic environment. The treatment of depression and Parkinson’s disease can also be complemented by the use of dl-methionine as it is involved in many of the metabolic processes in the brain. it encourages the production of the mood-lifting neurotransmitter serotonin and can improve the ability of those suffering from Parkinson’s to move and be active. It can restore a chemical balance thus reducing symptoms, including trembling erratic mood swings and sleep disorders. it has increasingly been used in the treatment of degenerative neurological conditions. in other words dl-methionine improves the quality of life of those suffering from these conditions. L-glutamine is an amino acid that helps you get rid of body fat without losing any muscle. It is essential for maintaining intestinal function and aiding in the immune response as well. it is released into the bloodstream and transported to the kidneys, liver, small intestines and cells of the immune system where it plays a vital role. L-glutamine is used by the white blood cells and contributes to normal immune system function. Individuals with muscle wasting and immune system related illnesses (such as cancer and aids) that may be incapable of manufacturing their own supply of l-glutamine may benefit from the supplement taking along with amino acids. Becoming ill or losing lean muscles are potential signs of l-glutamine deficiency. L-glutamine also increases your ability to secrete human growth hormones which helps to metabolize body fat and support new muscle growth. it is especially useful when you are trying to cut down on body fat without losing any muscles i.e. it prevents your muscles from being catabolized (eaten up) it helps maintain cell volume and hydration, speeding up the wound and burn healing and recovery. It serves to boost your immune system. it is one of the most important nutrients for your intestine. Inositol is a naturally occurring substance that is similar to the b-vitamin and is sometimes referred to as vitamin b, though it is not officially recognized as a vitamin. It is actually a carbohydrate that the body can synthesize from glucose. like choline (another ingredient in fat burner) inositol is essential to both physical and mental function. It is a primary function of cell membranes and it is present in all body tissues. It helps the body break down and metabolize fats, lowers blood cholesterol and prevents fatty build up in the liver. Inositol is also crucial to brain functions, it plays an active role in virtually all brain systems because all major neurotransmitters require inositol in order to relay messages. It is essential to communication between brain and cells thus have a significant impact on mood and cognition. Food sources of inositol include lecithin derived from soybeans, wholegrain, wheat germ, meat, citrus fruits, nuts, rice, and legumes. Inositol can be used in the treatment of a number of physical conditions and disorders, like, psoriasis, high cholesterol, hair loss, diabetic nerve pain, as well as cognitive and mood-related conditions. Because inositol helps regulate levels of serotonin in the brain and has been proven to have substantial calming effects, it acts as a natural anti-anxiety remedy and has been successfully used in the treatment of panic attacks, depression, ADHD and OCD -obsessive-compulsive disorder, PMS/ PMD. inositol works particularly well in women to relieve anxiety, binge eating, PMS - Pre Menstrual Syndrome, and more. It is particularly useful in treating PCOS - Polycystic Ovarian Syndrome. Choline bitartrate is a water-soluble nutrient, related to the B vitamin family, and it crucial for both brain and body. It is brain supplements that can help almost everyone get more out of their brain. It helps one recall details faster and more efficiently with much less effort, i.e. it is essential for optimum brain health and function. Mental fluidity is improved, meaning that doing tasks like writing, thinking or even holding a conversation is much easier and with less effort. It transports fat throughout the body which can also aid in weight loss. It eliminates brain fog while promoting focus! choline bitartrate is currently being understudied as an antidepressant in bipolar depression /disorder. Chromium is an essential mineral your body needs in small amounts. When combined with picolinic acid it is referred to as chromium picolinate. It is used to prevent chromium deficiency which may develop as a result of poor diet, stress, and aging. It has also been found to have a positive influence on certain medical conditions. Chromium picolinate helps it's users to lose weight, build muscles, increase metabolic rate, lower cholesterol and reduce cravings. Our bodies need a trace amount of chromium for it is a key role in processing carbohydrates and fats. It also helps regulate blood sugar by working with insulin to help transport glucose into the cells. High cholesterol is an excess of fat in the bloodstream that may build up on the arterial walls leading to heart disease, heart attack or stroke. Chromium picolinate helps to lower the cholesterol level. it benefits your heart in the sense that it promotes the relaxation of the blood vessels and improves blood flow and the rate of recovery of the heart muscles after heart attack damage. 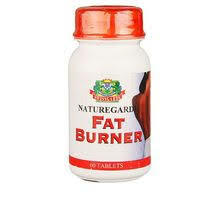 As you can see from this review, the fat burner is one of the most technical products that Swissgarde has!! it has been underutilized!! I also want to testify to fat burner it was actually the first swissgarde product i used, i decided to use it because i wanted to shed off some wait after child bearing, while on it i noticed i wasn't only shedding weight but i was also glowing and my friends started asking me the type of cream i was using the truth is i didn't change cream it was fat burner at work!!! Thanks sis lorraine for shedding more light on fat burner. Viva swissgarde viva! Is there a swissgrade agent in Ibadan, interested in the weight-loss package.